We did some like-for-like testing and you don’t need an expert eye to see how nothing else compares to Stanley/Stella. After some rigorous in-house tests, Stanley/Stella is confident that our garments continue to offer you the best results for printability. This is important to us because our mission is always to offer you the very best canvas to display your creativity. 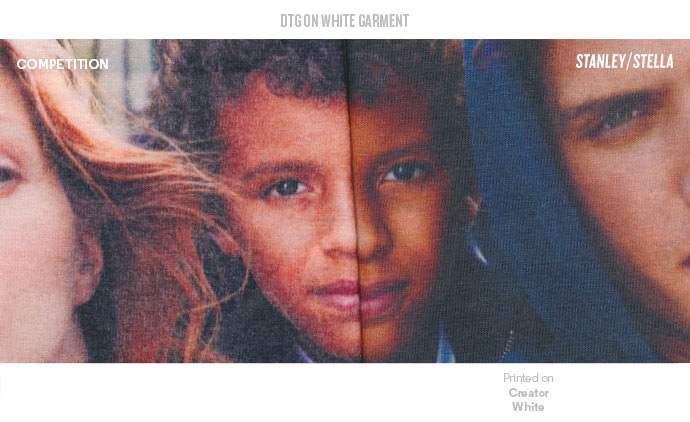 Of course, you might already be big fans of our perfectly printable garments, but we continue to ensure you a premium experience by guaranteeing the best for sharpness, alignment, coverage, touch, and accuracy of colours to art proof. Here’s how we can ensure our promise. 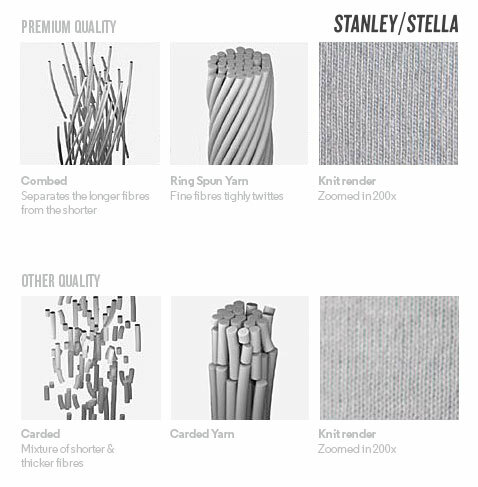 We’ve rounded up a lot of our competitors’ product and did some like-for-like testing and you don’t need an expert eye to see how nothing else compares to Stanley/Stella always on the right. Longer fibre length: giving stronger yarn with less exposed end which serves to offer a flatter printing surface. Combed cotton: gives more uniformity and better hand feel. Ring spun yarn: ensures less piling, no hairy surface and a much smooth and flatter printing canvas. And if it couldn’t get any better, at Stanley/Stella each of our t-shirts is 100% organic cotton and each of our sweatshirts is 85% organic cotton & 15% recycled polyester. 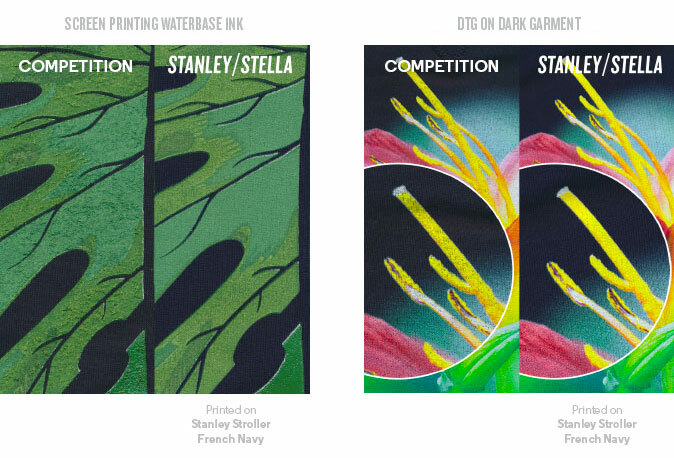 As if appearance wasn’t enough, Stanley/Stella also offer you the best in terms of hand-feel and guarantee you keep your costs lower with less ink needed during the printing process, and less pre-treatment in DTG.